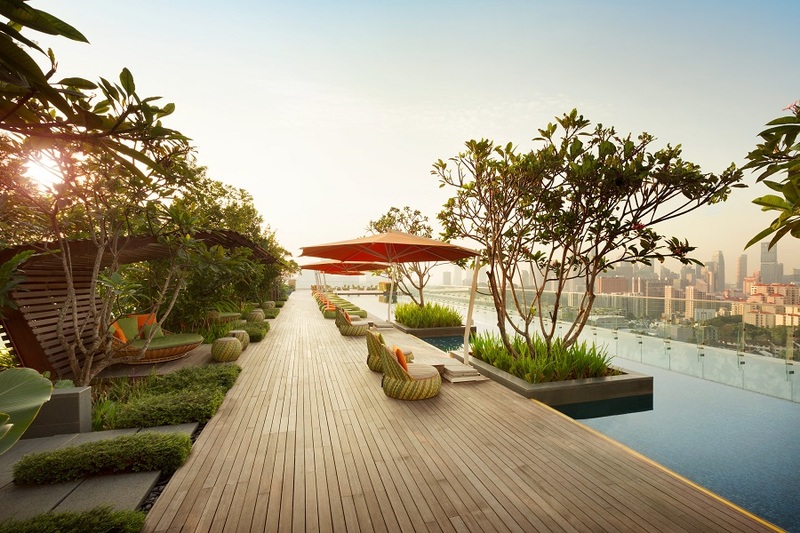 Singapore is one of the very best countries in the world when speaking of rooftop pools. 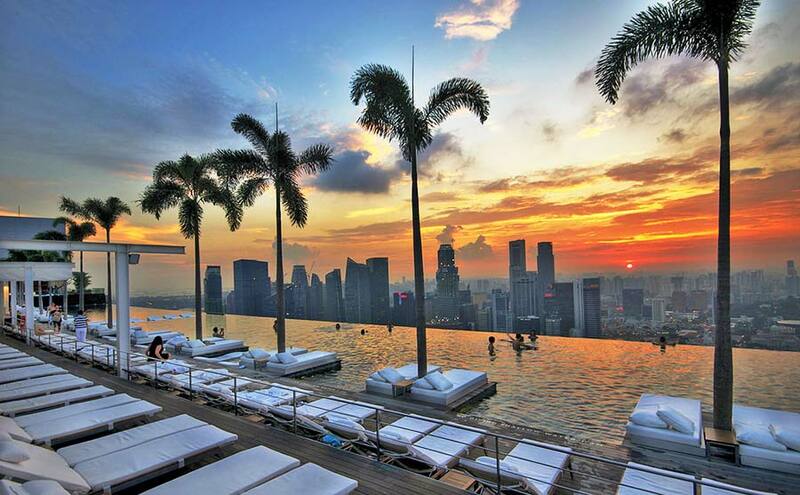 A typical Singapore rooftop pool at a hotel is located at a high altitude and with breathtaking skyline views. 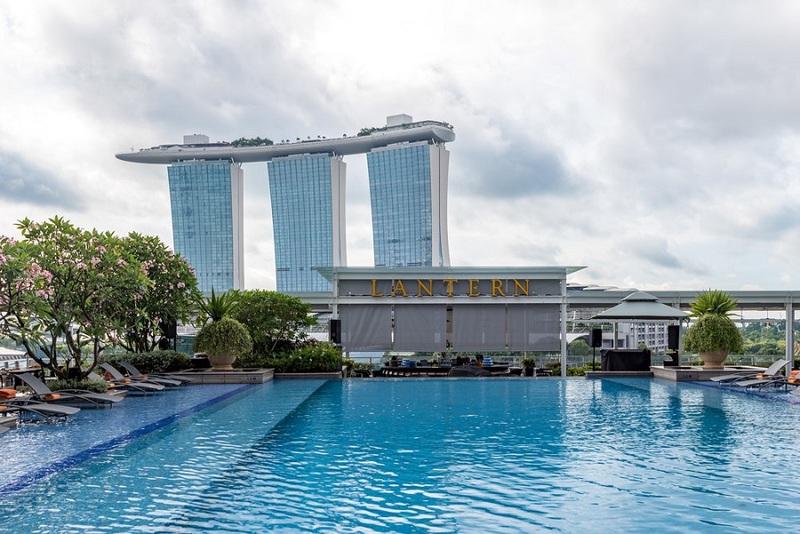 It's a popular thing to search for "rooftop pool Singapore", so we decided to summon a list with our 5 favourite spots to swim with a view in this amazing city. 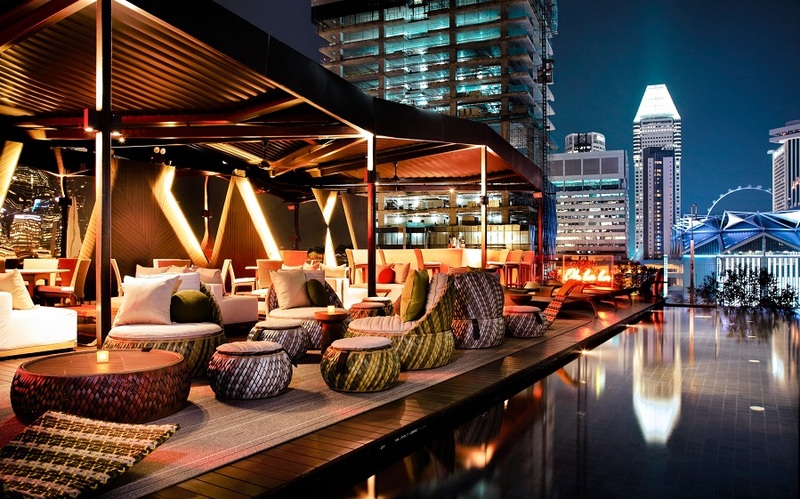 If your looking for more cool places with a view in Singapore (with or without a rooftop pool), check out our full guide to the best rooftop bars Singapore. 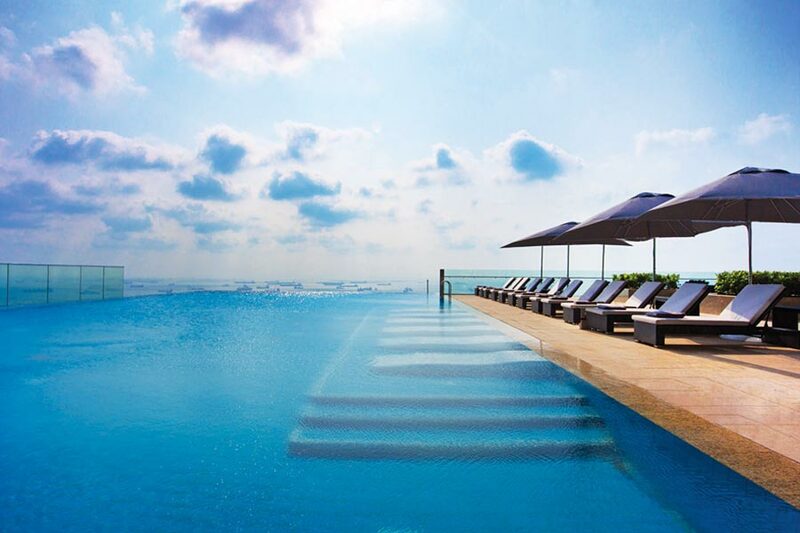 One of the world’s coolest and most iconic infinity pools. 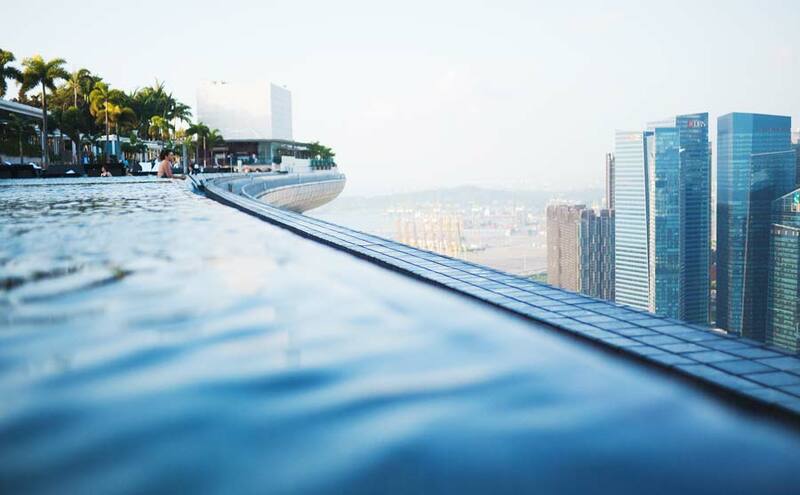 A large and luxurious rooftop pool in Singapore, stretching all over the three building hotel Marina Bay Sands and offering an amazing view over the skyline. 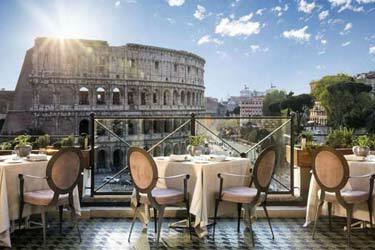 Here you can get really cool photos at the edge of the pool, most definitely Instagram-worthy. 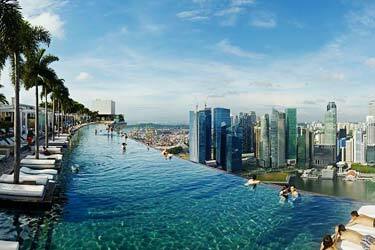 This is the world’s highest infinity pool and the best Singapore rooftop pool you can find. 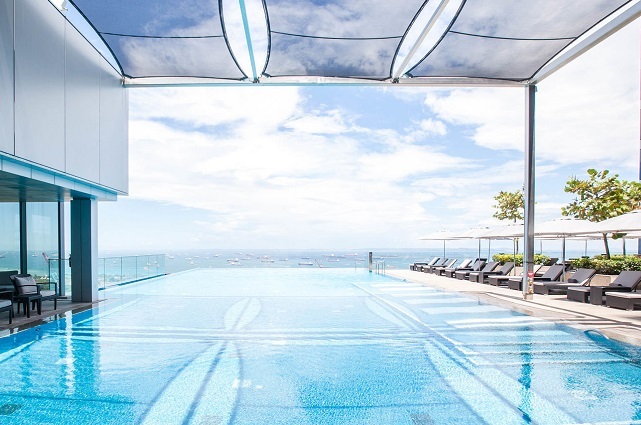 If you feel that the pool gets to crowded, seek relaxation in one of the rooftop jacuzzis at the other end of the terrace, and gaze out over Gardens by the Bay and all the hundred cargo ships in the ocean. 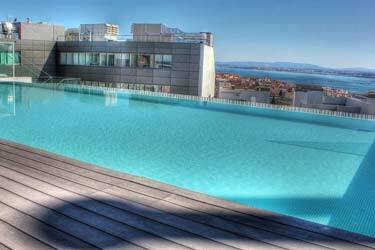 To be able to use the pool you have to be a guest of the hotel, but there are several bars and restaurants up here as well. 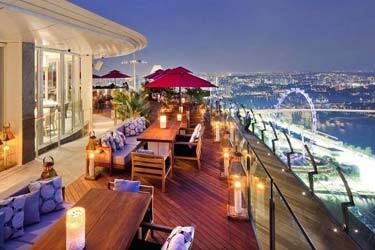 You can find more info about Marina Bay Sands rooftop bar CÈ LA VI here. 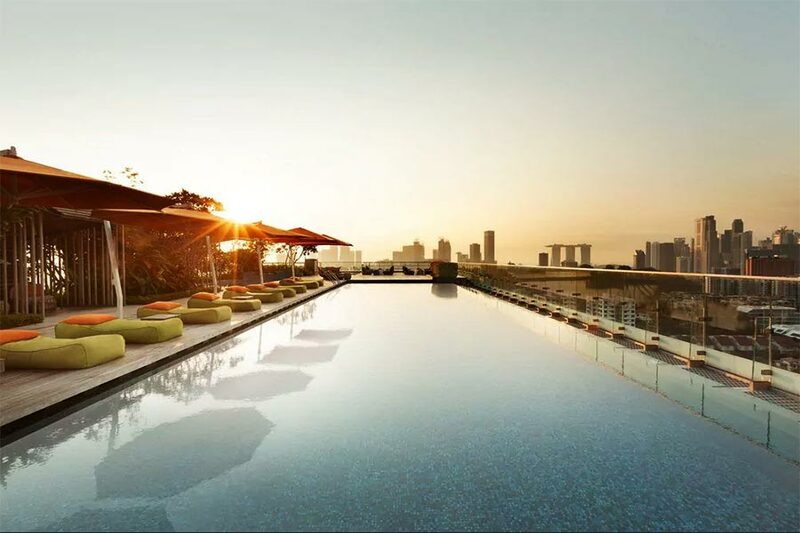 A luxurious and cozy infinity rooftop pool in Singapore at the fancy boutique hotel Naumi Hotel. 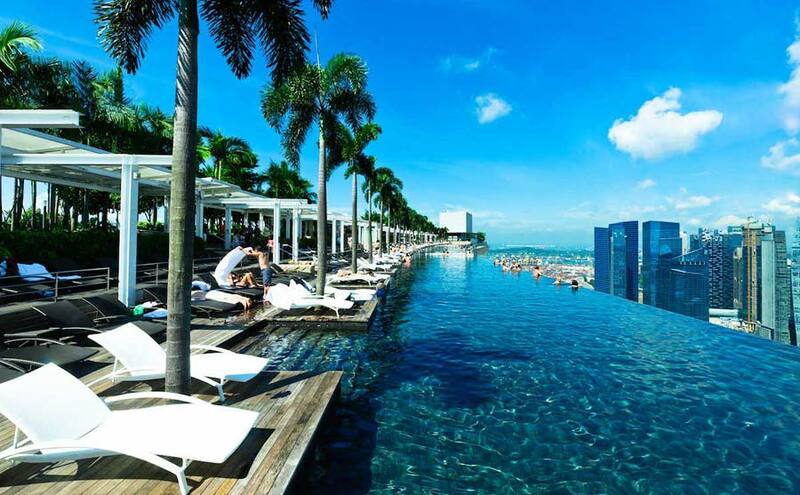 A pool on top of a building in Singapore you should not miss. 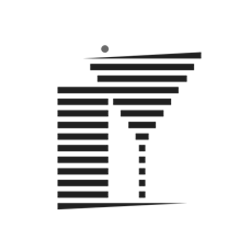 The location is in the Bugis ditrict, with lots of hip bars and restaurants nearby and a little bit outside of the downtown city center, which creates a mighty skyline view with all the sky scrapers as a back drop. 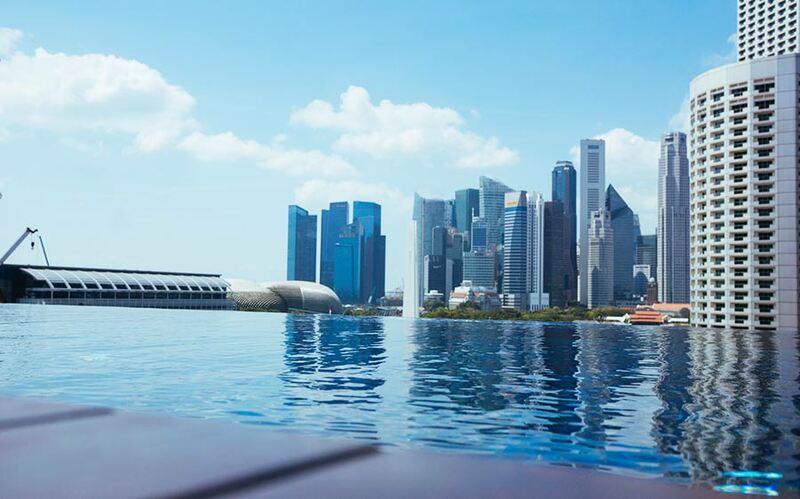 Being a boutique hotel and not very well known among tourists, this is a perfect Singapore infinity pool to enjoy relaxation in a harmonious atmosphere. 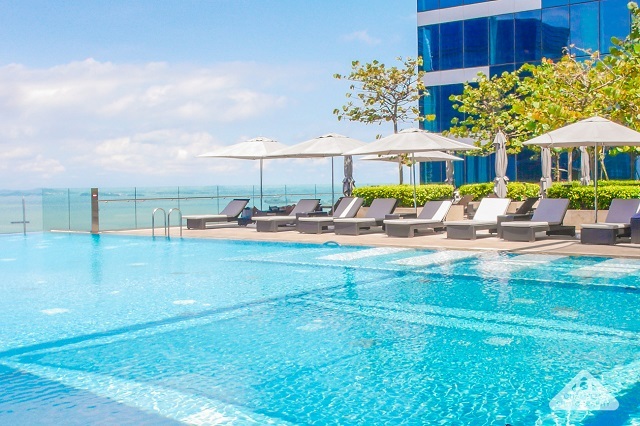 When searching for Singapore hotel rooftop pool or Singapore hotel pool on roof you will defenitly find this rooftop swimming pool. Useful info: Children under 12 years of age must be supervised by an adult at all times. 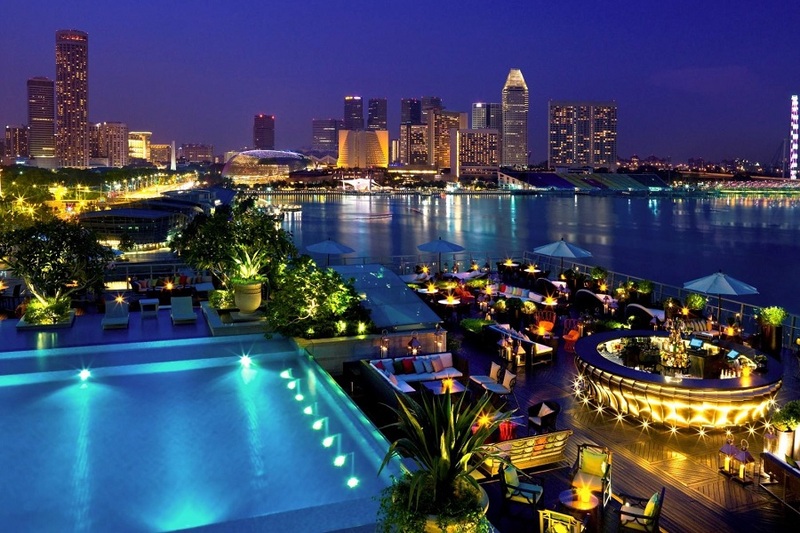 A modern, large and luxurious rooftop pool Singapore at the rooftop of the fancy five-star hotel Fullerton Bay. Despite the quite low altitude you get a very good view from the terrace, over Marina Bay and the downtown sky scrapers. 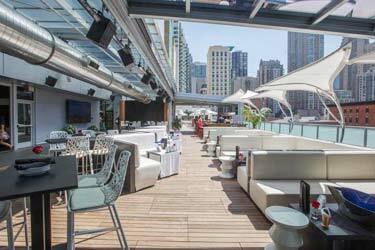 When entering the terrace you get the feeling of being on a beach club or in a roof garden. 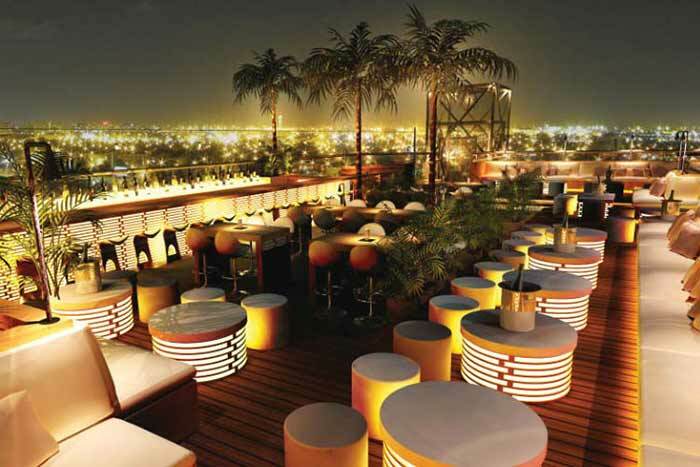 A very nice and lush environment surrounds the terrace and rooftop pool. 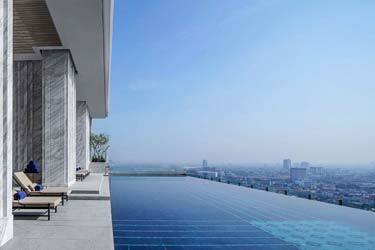 A superb Singapore swimming pool on rooftop, only available for the hotels guests. 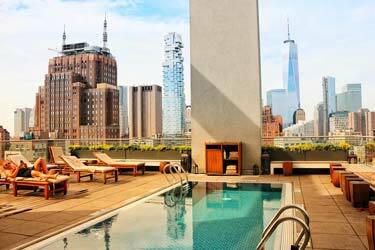 But as an 'otusider' you can still hang poolside at the Lantern rooftop bar, which you find more info about here. 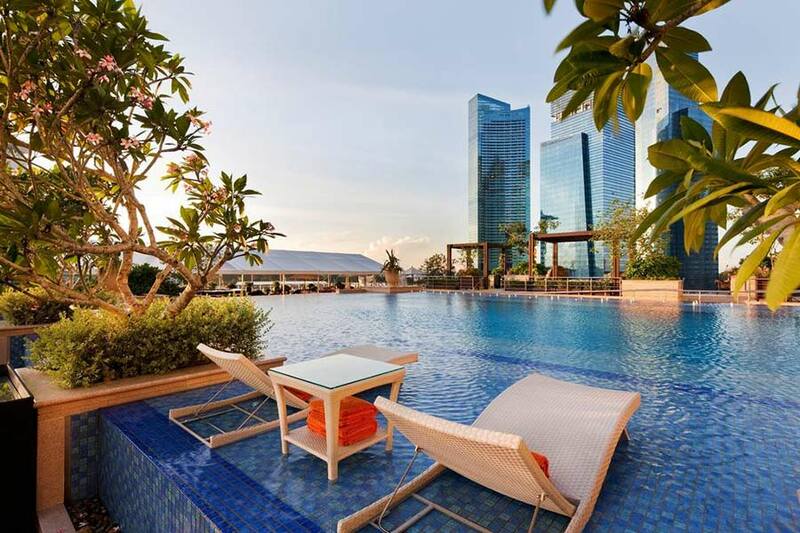 Welcome up to a hidden oasis, right on one of the most famous shopping streets in Asia, Orchard Rd. 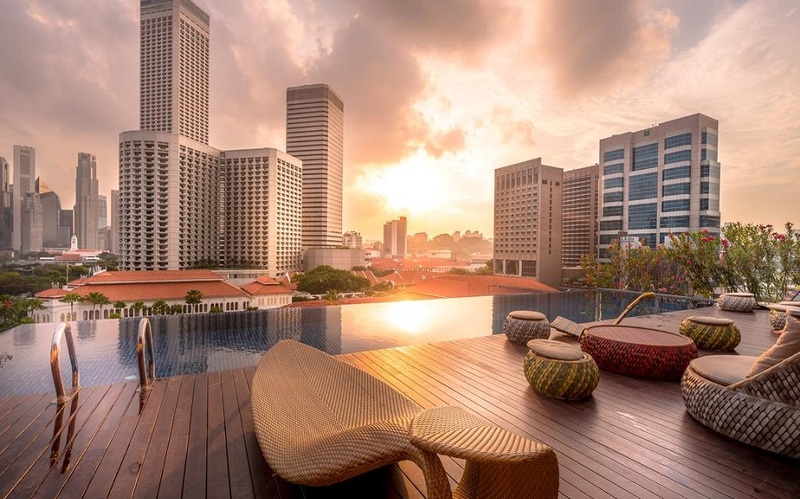 This is where Hotel Jen Orchardgateway 'hides' a huge roof deck and one of the absolute top rooftop infinity pools in Singapore. 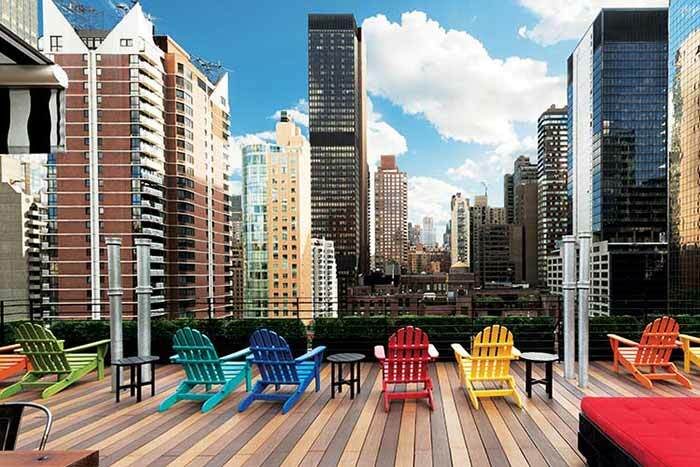 Stretching almost from one edge to the other, and with lots of greenery, bamboo huts and stylish sun loungers, this really is a perfect place for relaxation and harmony in the ever buzzing city. 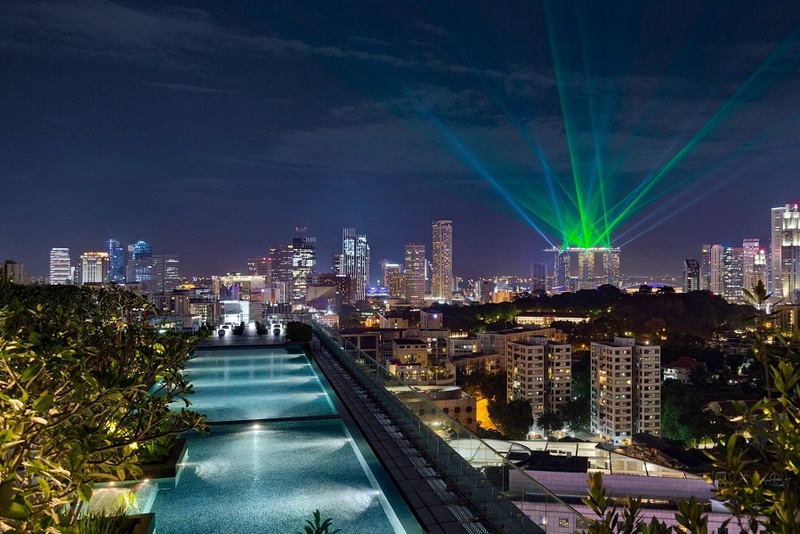 Since the locations is also a bit outside the most central parts, the view is littearly over the whole of Singapore..